You can change your life while you are helping and serving others. 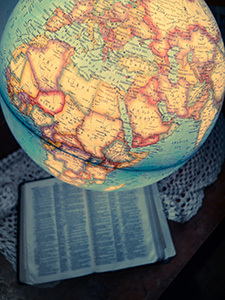 As a church family, we reach beyond the walls of the church into our Dallas community and around the world, with the goal of providing HELP and HOPE to those in need. We provide tools such as food, clothing, shelter, education, and medical care, which help people improve their lives. We believe that outreach combined with the love and care of Jesus Christ and of all people helps hope be born in the hearts of those who are struggling. We also know that by serving others each of us is transformed. Whether it be a mission trip, a Carpenters for Christ build, serving a meal to the homeless, or any other act of service and outreach, you can change your life while you are helping and serving others. HPUMC sponsors Georgia Bates as the first full-time nurse for the Visiting Nurses Association serving West Dallas. 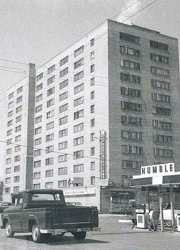 Dickinson Place provides low-income senior citizens safe, affordable housing along with programming to enhance spiritual, individual, and social well-being. The program was an extension of HPUMC’s ministry with Visiting Nurses Association. HPUMC is now one of the leading partners with the V.N.A. Church member Henry Gilcrest was President of the Board. Haiti Eye Clinic's mission is to spread the love of Christ by providing desperately needed eye care and health services to the people of Haiti, a poverty-stricken country with almost no eye care resources. 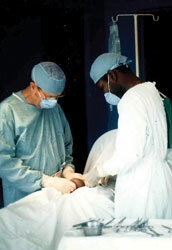 The clinic was built by the Haitians using donations from HPUMC. It's a landmark in town, very popular and a source of pride for the people. On Sunday, September 24, 1995, Rev. Mark Craig called upon the congregation to focus their eyes on South Dallas. The Carpenters for Christ project was formally announced the following April with the completion of the first house that October. “These commitments have made HPUMC Habitat’s largest partner in the world among church congregations,” says Joe Fortson, Outreach Associate with HPUMC. 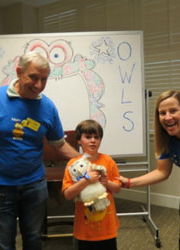 Night OWLS (Out With Loving Sitters), a respite program for families with Special Needs, was first established in 2000. Night OWLS invites children (to age 13) with special needs and their siblings come to HPUMC on the first or third Friday night for activities and programs designed for them. Each child is paired with a trained volunteer for the evening. 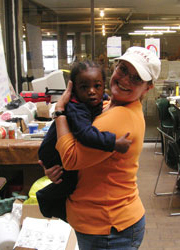 After the Hurricane Katrina, the Biggers building was transformed into a relief center where refugees from Louisiana could come and receive support and supplies. Rev. 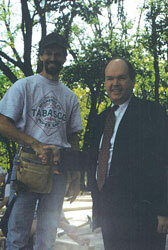 Mark Craig spearheaded the effort, along with the Harkey and Clinton Families. 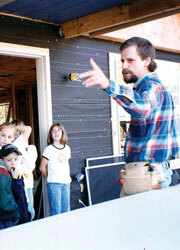 Their efforts evolved into a program for going into local communities around Dallas and helping residents repair homes. Tragedy struck on January 12, 2010. When a 7.0 magnitude earthquake rocked central Haiti, killing, injuring, and displacing hundreds of thousands of people. 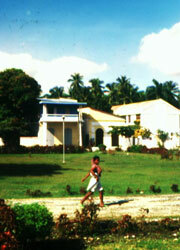 The powerful quake destroyed countless buildings and homes, including the main building of the Haiti Eye Clinic, a medical treatment facility founded by HPUMC in 1976. For four years, the damage from the quake kept HPUMC’s medical mission teams away from the area. But on January 12, 2014, the newly re-built Eye Clinic was dedicated and reopened; the following week, an HPUMC mission team served alongside the Haitian clinic staff to see over 600 patients.